I’m a visual person and I need to “see” the story. That’s really hard to do when it’s laid out sentence after sentence in a document, or even sketched out in outline form. So I like to create a story board. 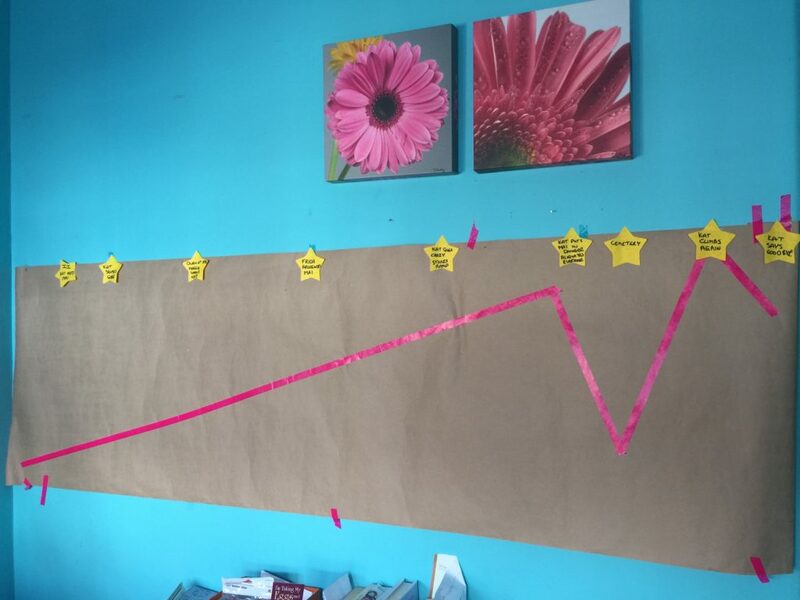 I stick up a long sheet of brown paper, mark off a storyline and plot out my story with post-it notes. Then I map out certain landmarks I know I’ll need to hit in the story. These might be moments when my main character discovers something about herself or confronts another character, or where something major happens that changes the course of the story. I figure out roughly where they might happen and stick them up on the board. This way, as I keep writing forward, I have a landmark in the story that I know I’m writing towards. Even if I meander a bit, I know I’ll get there eventually. As things get more complicated in the story, I tap into my inner super-nerd and go color coordinated. 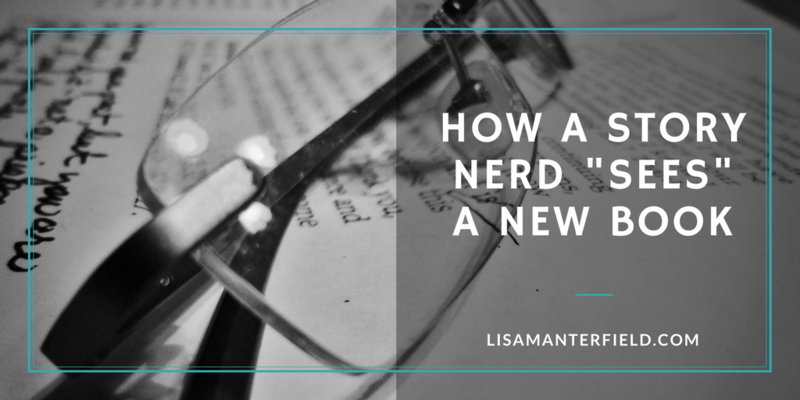 By using different color notes for different characters and subplots, I can make sure that characters don’t disappear for chapters at a time and that minor storylines don’t fizzle out. Using moveable sticky notes makes room for surprises that come up. I can also move scenes around to keep the pace of the story moving. Here’s the storyboard I built for The Smallest Thing. As you can see, I also use the board to collect all my scraps of inspiration. This one has pictures of the settings and characters, images that inspire the mood and themes of the story, a layout of Bubble City, and a very important timeline that I needed to keep consistent. Any time I feel the story going awry, I can check my board to see where I’m going wrong. 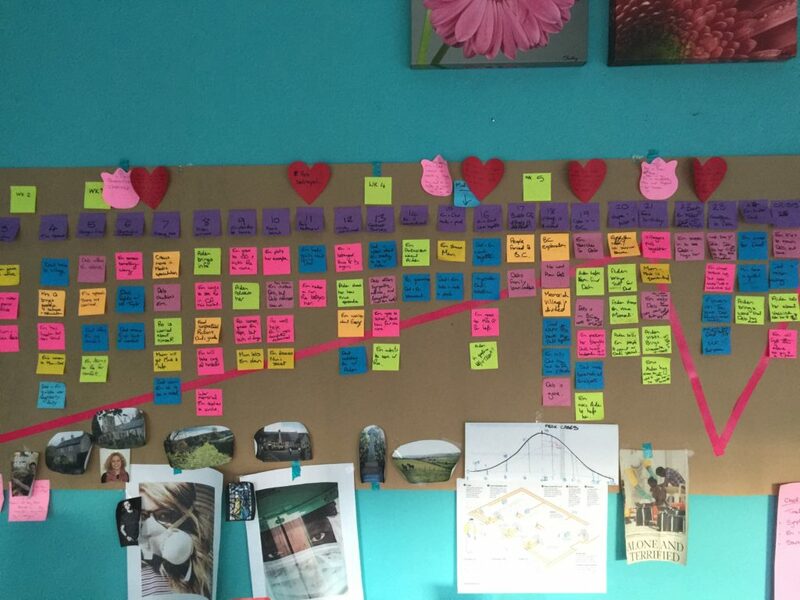 As I head towards the middle of the new book, I’ll be putting up a brand new story board sheet and adding my color-coded post-its. I’ll let you know how it all goes. Today is your last chance to grab a copy of The Smallest Thing for only 99 cents. Follow this link to your bookseller of choice.